In 21st-century England, a power-hungry prime minister is about to destroy the British monarchy. But a young captain, James Arthur Stuart, is not the commoner he believed himself to be–he is King Arthur, reborn. Companion to The Pendragon Cycle series, medieval fantasy for adult readers. 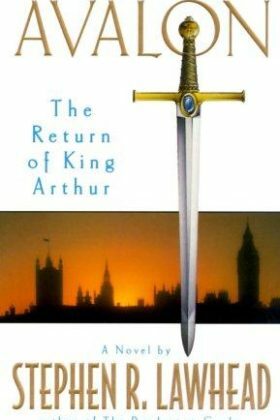 It has been foretold: In the hour of Britain’s greatest need, King Arthur will return to rescue his people. In England, a dark scenario conceived by the power-hungry Prime Minister, Thomas Waring, is about to be realized: the total destruction of the British monarchy in the twenty-first century. And in the Scottish Highlands, a mystical emissary named Mr. Embries–better known as “Merlin”–informs a young captain that he is next in line to occupy the throne. For James Arthur Stuart is not the commoner he has always believed himself to be–he is Arthur, the legendary King of Summer, reborn. But the road to England’s salvation is rocky and dangerous, with powerful waiting to ambush: Waring and his ruthless political machine…and the agents of an ancient, far more potent evil. For Arthur is not the only one who has returned from the mists of legend. And Merlin’s magic is not the only sorcery that has survived the centuries. Companion to The Pendragon Cycle series, medieval fantasy for adult readers.